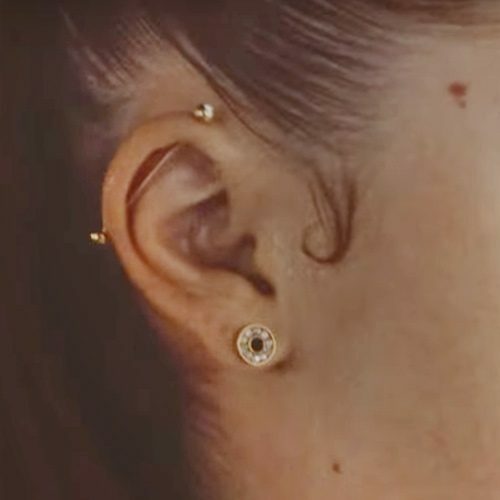 Danielle Bregoli wore an industrial piercing and a stretched lobe piercing on her right ear in the music video BHAD BHABIE – “Both Of Em”. 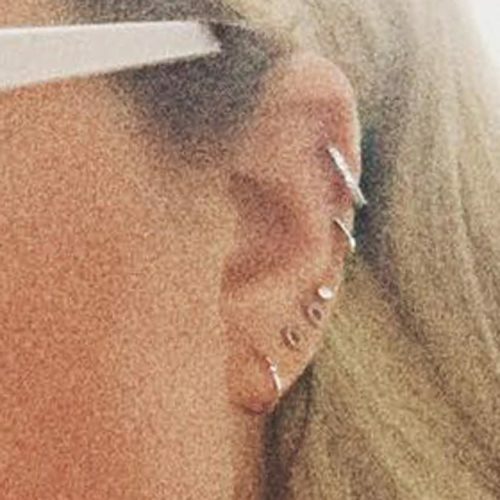 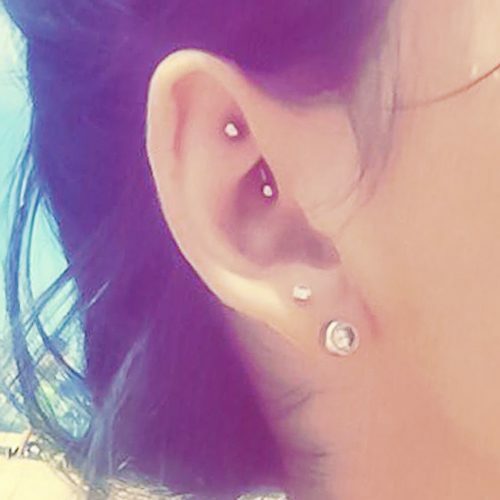 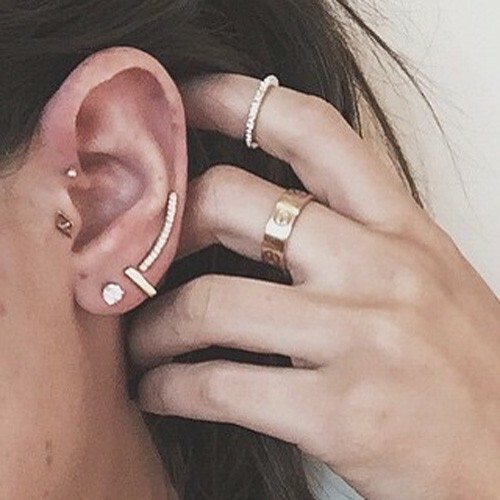 Sofia Richie was wearing piercings all along her left ear from her cartilage down to her lobe — six piercings in total. 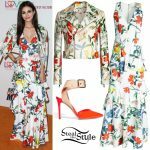 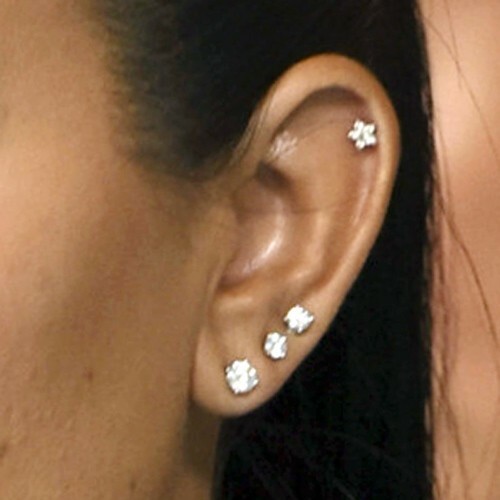 Kourtney Kardashian seen wearing four piercing in her left ear at the Off White’s Ready to Wear’s S/S 2017 Fashion Show held at Descartes’s university in Paris, France on Thursday September 29, 2016. 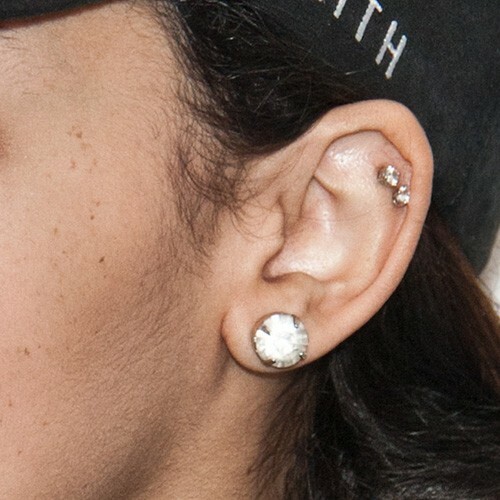 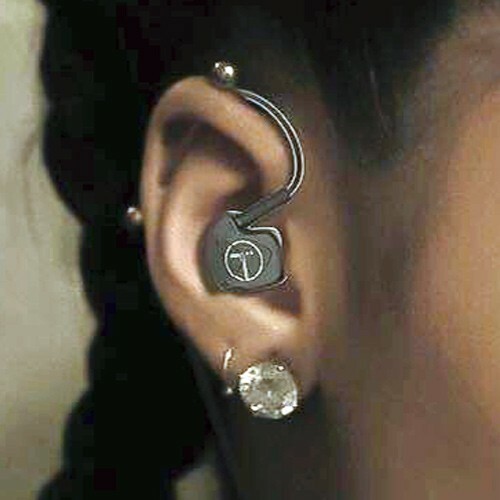 Tinashe wore jeweled stud earrings in her ear lobe and cartilage at the Q102’s Performance Theatre in Bala Cynwyd, PA on March 15, 2016.